4 different tin designs in a beautiful large display tin containing superb tasting roasted and caramelised Marcona almonds covered in white chocolate and dusted with pure bitter cocoa powder. 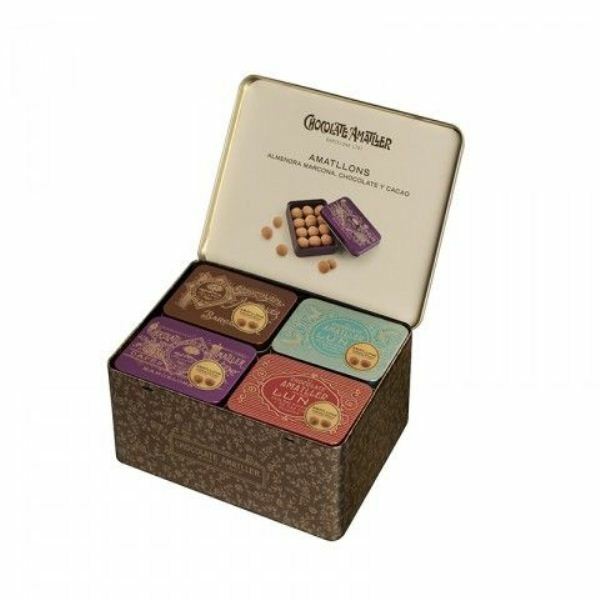 An irresistible combination of textures and flavours on the palate. 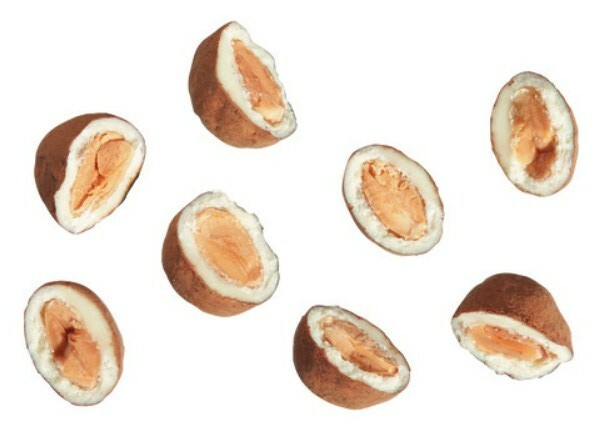 A taste that is at first bitter gives way to a finish that that is creamy, sweet and crunchy. 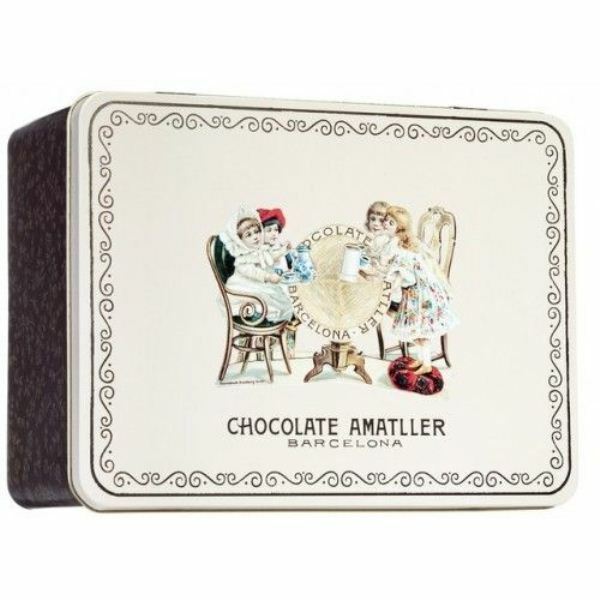 Presented in metal boxes of various designs, all of which use logos originally employed in old promotional objects from the Amatller brand. 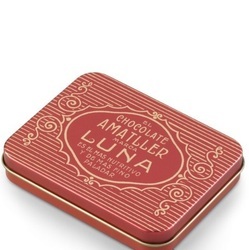 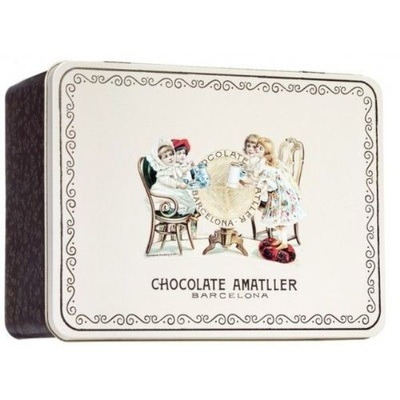 The reason for this name is because it refers to the brand Amatller and also the main ingredient: almond, in an exclusive formula Amatller Chocolates. Ingredients: Sugar, Almonds (26%), Cocoa Butter, Skimmed milk powder, Anhydrous butter, Cocoa powder, Emulsifier (soya lecithin) and flavours. 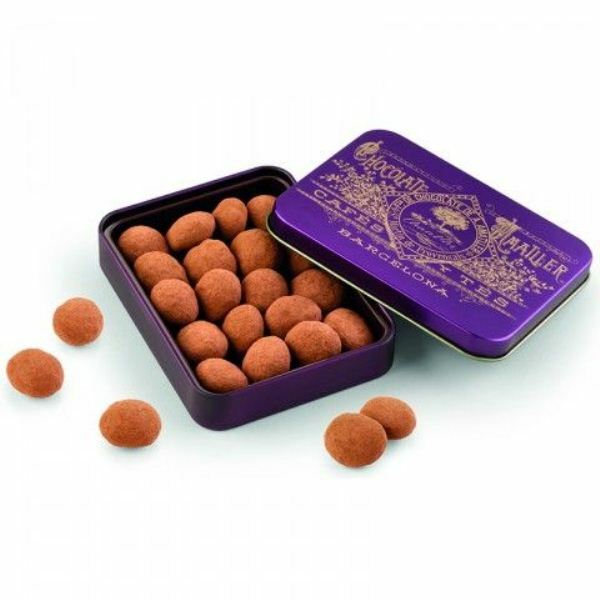 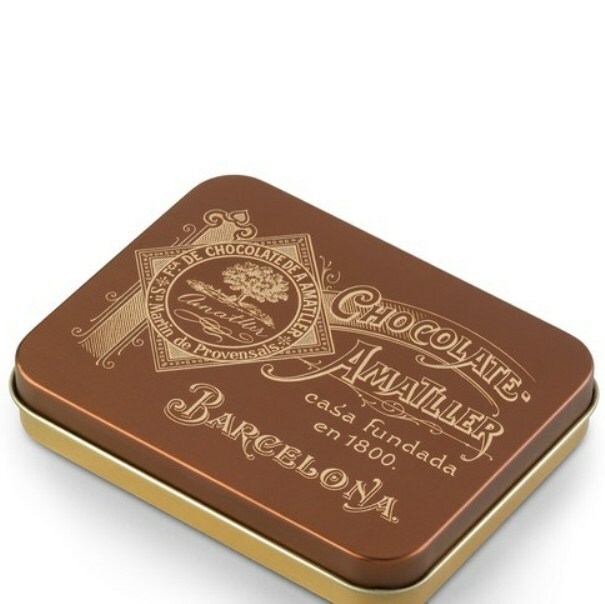 This gorgeous tin contains 20 medium tins of 65 g each. Also available in 10 Tins Display.